Bon Appetit recently released their list of the top ten restaurants, and I was so excited to try out the LA spot, Grand Central Market. More of a food hall than a stand alone restaurant, GCM has loads of interesting stalls to check out. I came hungry but only managed to visit a few - guess I better go back soon. First stop was Horse Thief BBQ for a pulled pork sandwich and sweet tea. 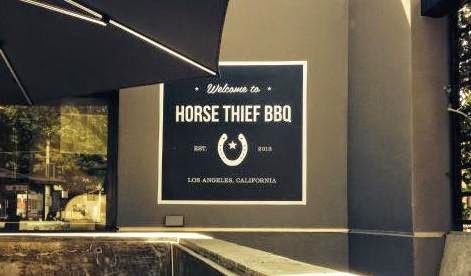 Their BBQ is apple cider vinegar-based, which gives it a sugary tang. Plus pickles and onion? 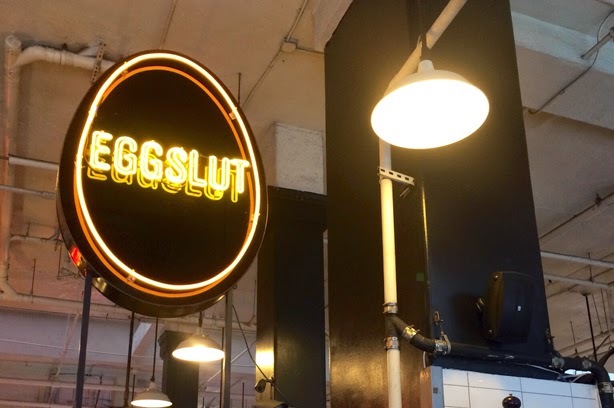 Next was Eggslut for their eponymous dish, a coddled egg over potato puree. I am in no way exaggerating when I say it was heaven in a boiled jam jar. 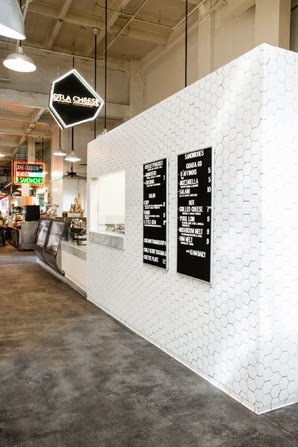 It was the menu at DTLA Cheese that drew us in - I saw "cheesy potatoes" and knew we had to stop. While we were too full for the potatoes, we did peruse the expansive case with the intention of trying a few and finding just the right dairy product to take home. 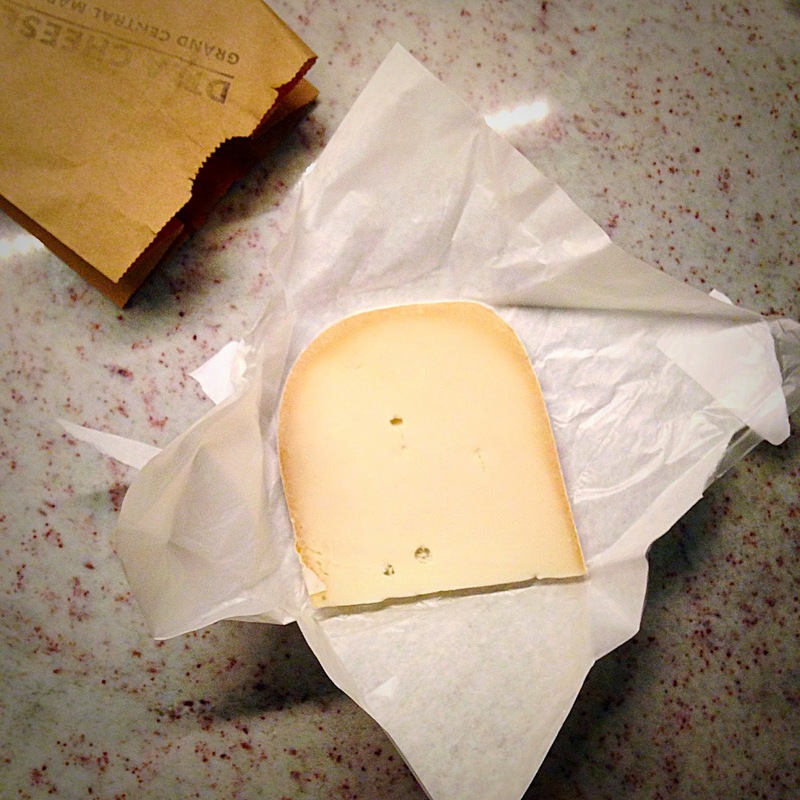 But our cheese expert Marnie asked us a couple questions and BAM - we found the perfect cheese on the first try, the soft and savory L'Amuse Brabender Goat Gouda. We only got a sliver, so no doubt we will be making a return trip very soon. 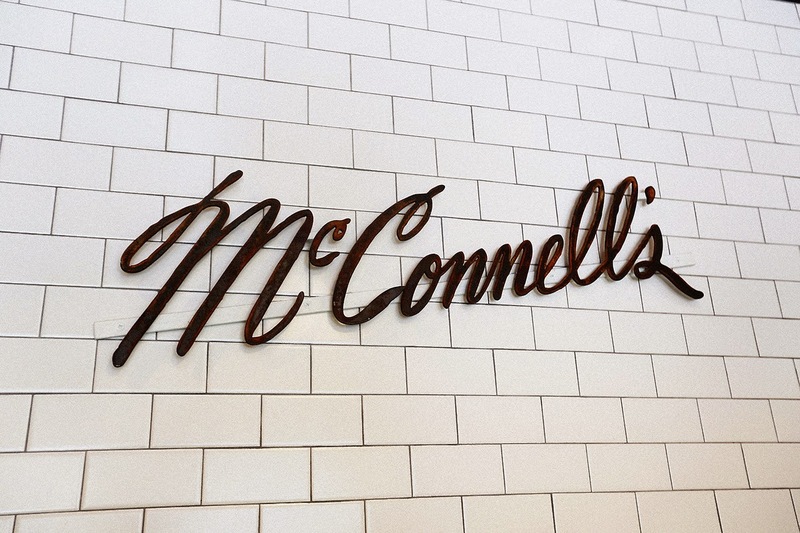 Last on our hit list was McConnell's for a little treat - well, a big treat. A three scoop sampler bowl to be exact! We tried churros con leche, strawberry, and olive oil with almonds. I think we're ready for another round, wouldn't you say?